Displaying 1-50 of 118 items. A new classic from Donald Moore: a skillfully arranged version of the famous Bach/Gounod "Ave Maria." Your choir will sound impressive singing these lyric lines and rich harmonies set to an "Alleluia" text with a flowing piano accompaniment. 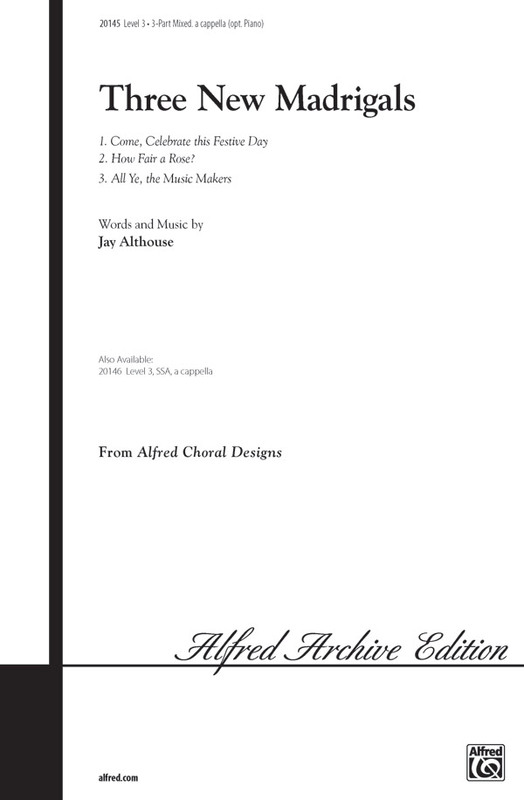 Sensitive dynamics rise and fall in every stunning phrase of this must-have work for your choral library. Cohan's famous show tune gets a lively partner song treatment! A complimentary countermelody ensures that developing singers will perform the independent musical lines with success. Add the optional choreography (printed in the publication and on the Step One! DVD and at alfred.com/video) to create the ultimate show-stopper! 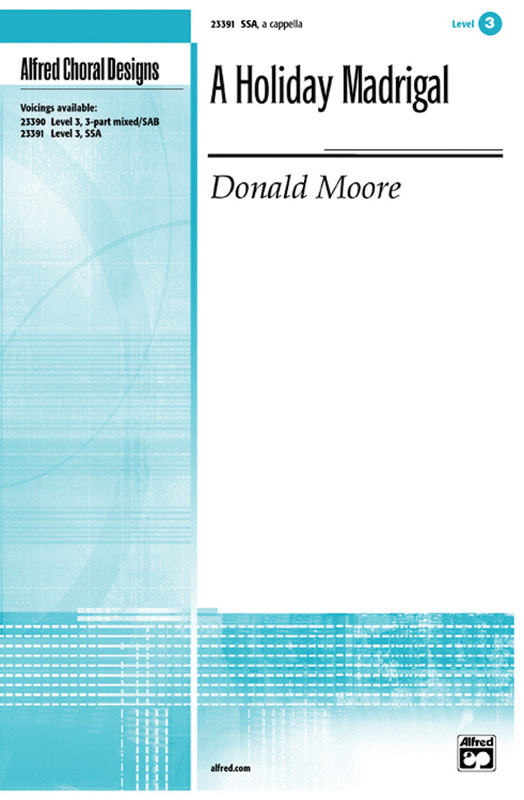 Donald Moore : A Merry Season! We've combined six of our best-selling Alfred Choral Designs seasonal titles into each of these convenient, price-saving publications. Use the six chorals individually, or perform them together as a ready-to-go 20-minute December program. Each of these four collections has been carefully selected to provide your singers and audience with a dynamic and rewarding concert experience. Includes: Goin' on a Sleigh Ride (arr. Albrecht), A Merry Madrigal (Moore), Celebrate the Feast of Lights (Albrecht, Brownsey), Solitary Snowflake (Estes), Down, Down the Chimney (Rothenberg), A Gift for Every Child (Albrecht, Althouse). Donald Moore has skillfully crafted a canonic piece based on one of Mozart's most memorable melodies. "Alleluia" from the famed motet, Exsultate Jubilate, is placed in an easy range for young singers, supported by a simple piano accompaniment, enhanced with a light optional flute (or C-instrument) part, and combined with lovely original material. Young voices will shine as they sing this classical sounding piece, written expressly for 2-part choirs. The optional SoundTrax CD boasts a chamber music-like quality. This title is available in SmartMusic. One of Mozart's most memorable melodies is placed in an easy range for young 2- and 3-part singers. Supported by a simple piano accompaniment, enhanced with an optional instrumental obbligato, and combined with lovely original material. This title is available in Music Prodigy. Oh the heartache! "Why must I be a teenager in love?" It's a musical question from the sock hop days of the fabulous '50s. The jitterbug-style arrangement is lively and fresh, yet captures the feel of a more innocent era. Three cherished carols are incorporated into a lovely 4-minute Christmas medley for your whole music department. 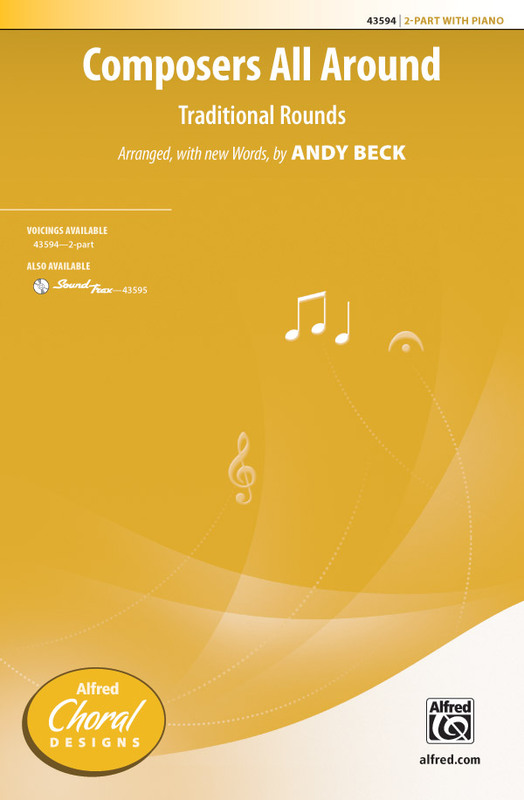 Perform this classic-sounding choral work with any combination of piano, concert band, or full orchestra accompaniment. A main event for holiday programs. Concert Band (00-BD9924) and Full Orchestra (00-BFOM03002) arrangements available. What a combination! 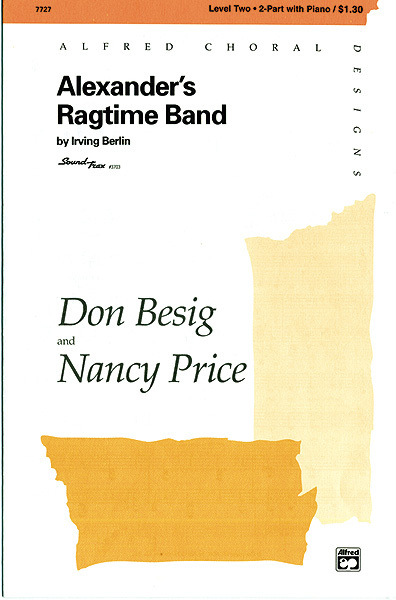 Irving Berlin's classic song with a new partner-melody by Don Besig and Nancy Price. A real winner for 2-part choirs. The optional SoundTrax CD adds a true ragtime sound. 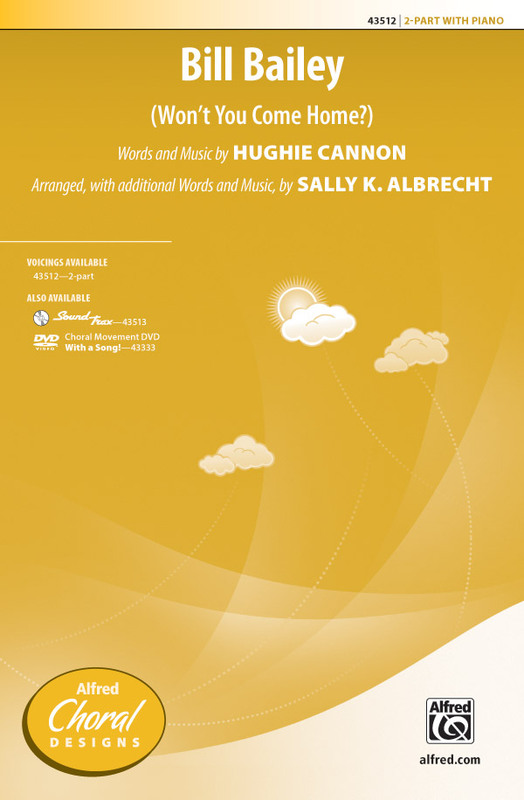 New for SATB and SAB! A singable Mozart melody is the basis for this fine 2-part arrangement by Donald Moore. An optional flute (included in the publication) also joins in the canon. The canonic style makes it great for choirs of all ages who want to sing the music of the masters. Text is an "alleluia," suitable for singing year round. Much repetition and a catchy makes this 7/8 number deceptively easy to learn. Opens with eight measures in 7/8, then a smooth, homophonic andante section in 4/4, followed by a repeat of the opening 7/8 section. Great for competitions and festivals. Masterfully crafted with a traditional harmonization, this piece is an eloquent showcase for mixed or men's choirs. The addition of the SoundPax instrumentation (strings, flute, and percussion) will make the arrangement shimmer. A gorgeous treatment of an American classic. Kids will love this fun partner song arrangement of a turn-of-the-century American parlor song. After crooning through the familiar melody, singers will delight in the stylized vocal slides that shape the Ragtime-y counterline. 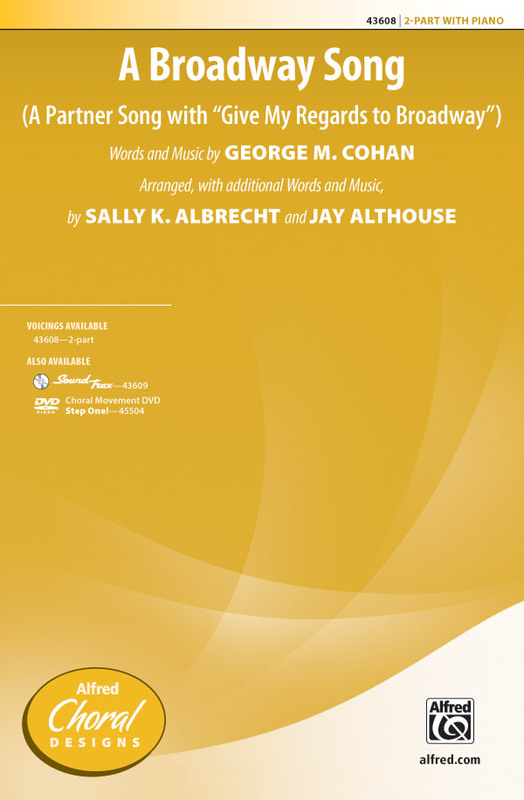 Put it all together with Sally's choreography notes, included in the publication and demonstrated on With a Song! Available for the first time for male choruses, Pitoni's Cantate Domino is one of the great masterpieces of standard choral repertoire. Top-notch concert and contest literature. Now available for a cappella SSAA choirs, Pitoni's Baroque motet is one of the great masterpieces of the choral repertoire. Top-notch concert and contest literature. This expressive original carol will take your breath away and bring out the very best in your choir. One Latin phrase provides an elegant refrain in this distinctive selection for Christmas concerts and services. 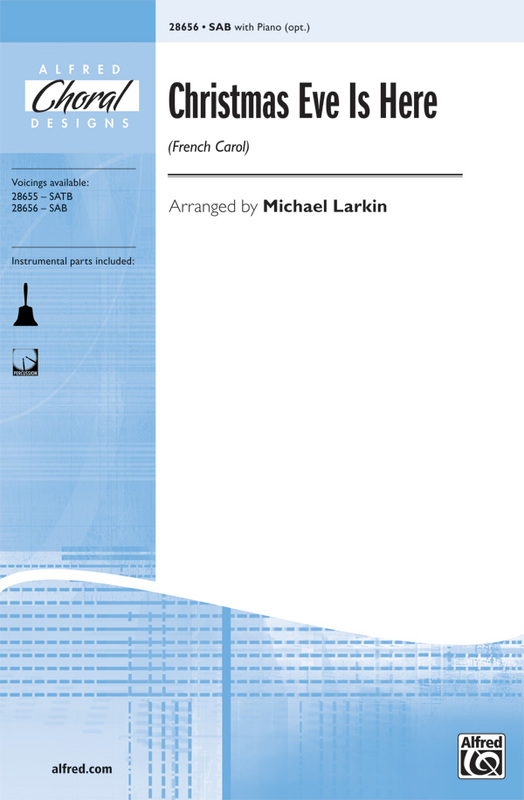 Now menis choirs can enjoy this expressive original carol in three parts with an optional fourth at cadences. One Latin phrase provides an elegant refrain in this distinctive selection for Christmas concerts and services. Something new and different for the holidays! This fantastic choral work quotes moments of your favorite carols, all on a "fa la la" text-that is until a bit of the "Hallelujah Chorus" appears near the end. Festive fun for everyone! Can be sung a cappella or with the optional keyboard accompaniment. A fresh approach to this early French carol. Polyphony resounds as sections of the choir perform unique and overlapping lines in a minor mode. Performance options include any combination of a cappella choir, handbells or tonechimes, piano, hand drum, and tambourine. Impressive. 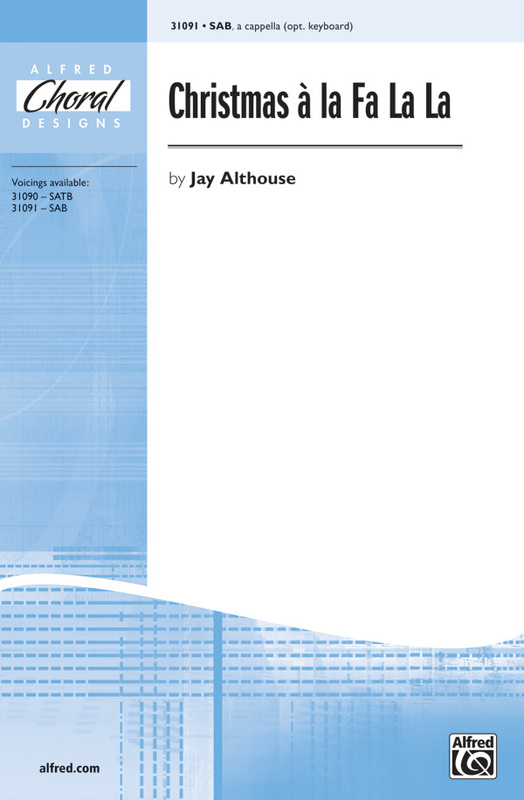 This trio of fresh, new, madrigals from Jay Althouse is a valuable addition to the choral repertoire of 3-part and SSA choirs. And at $1.85, it's quite a value. The first is in a traditional madrigal style, with a "fa la la" section and features and echo chorus. The second is lush and lovely, homophonic in nature, with a thought-provoking text. The third is up-tempo and includes an optional hand drum: it could be used as a processional or at a madrigal dinner. Use any or all of the three for concerts, contests, and adjudications. Jay Althouse : Come Hear the Band! 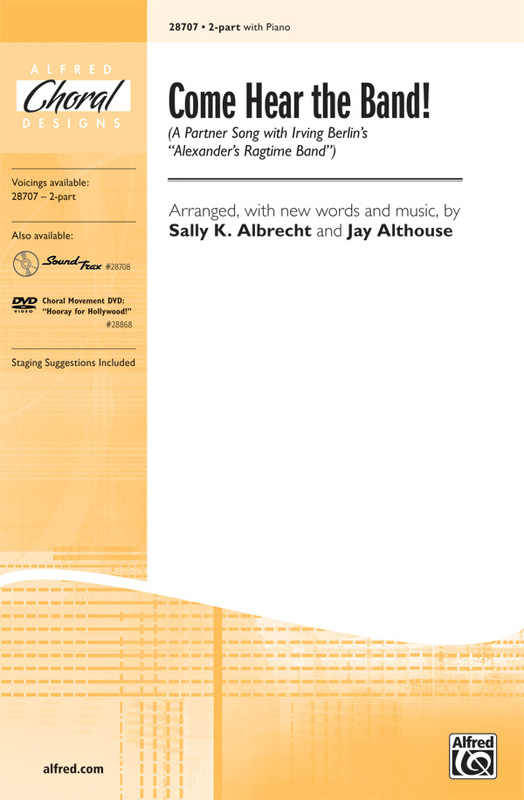 This effective arrangement partners the familiar Irving Berlin "Alexanderis Ragtime Band" with a clever countermelody, imitating a tuba, clarinet, trombone, and flute. Staging included in the publication and featured on the "Hooray for Hollywood!" movement DVD #28868. 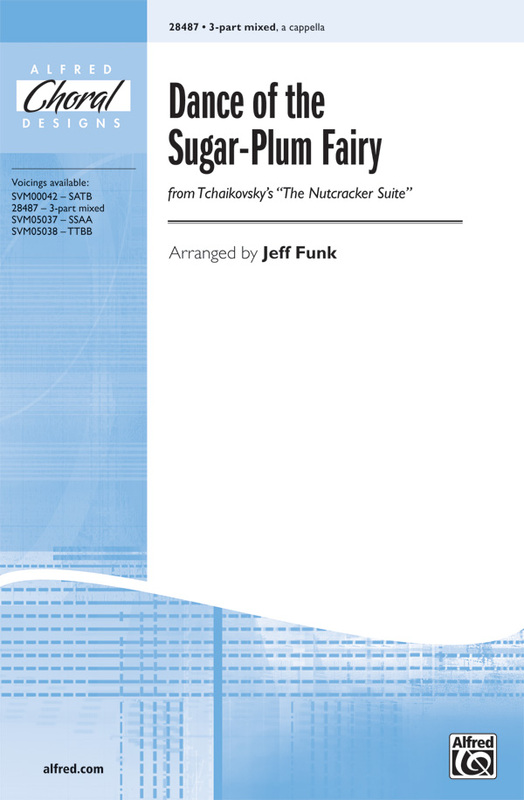 Using this famous movement from the timeless holiday ballet The Nutcracker Suite, this new 3-part voicing of Jeff Funk's popular choral arrangement provides a wonderful performance opportunity for school choirs. Lighthearted programming for holiday concerts. Here is a practical and useful arrangement of a well-known American spiritual for 4-part menis choirs. A pleasure to sing, with energized rhythms, achievable a cappella, and chromatic modulations as the body part lyrics unfold. Solid menis repertoire. A lilting love song with great educational merit. Sing entirely in English or take time to teach the German text (both are included in the publication, along with an IPA pronunciation guide). An international delight. 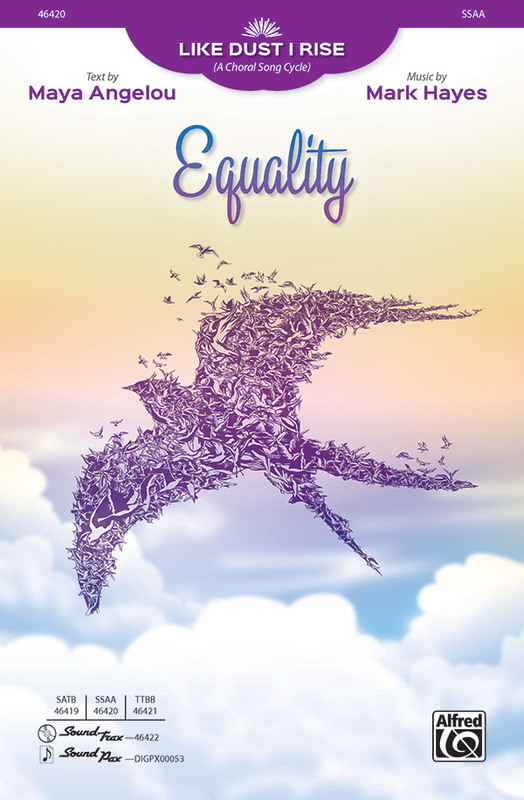 This contemporary gospel-style rouser denounces oppression and serves as a choral anthem for equal rights. A confident solo voice helps deliver a determined message in the unwavering words of Maya Angelou. If performing as a set, an alternate ending segues directly into the closing movement of Like Dust I Rise. When performing separately, Mark Hayes includes an upward modulation that propels us to the final, most spirited refrain. Russell Robinson has adapted one of Thomas Morley's most enduring madrigals for 3-part voices, just right for today's young and developing choirs. The male part has a limited, 5-note range...great for changing voices. The independent vocal lines make it an excellent learning piece and a perfect "first madrigal" for any choir. Carefully tailored to the needs of middle school and junior high singers. 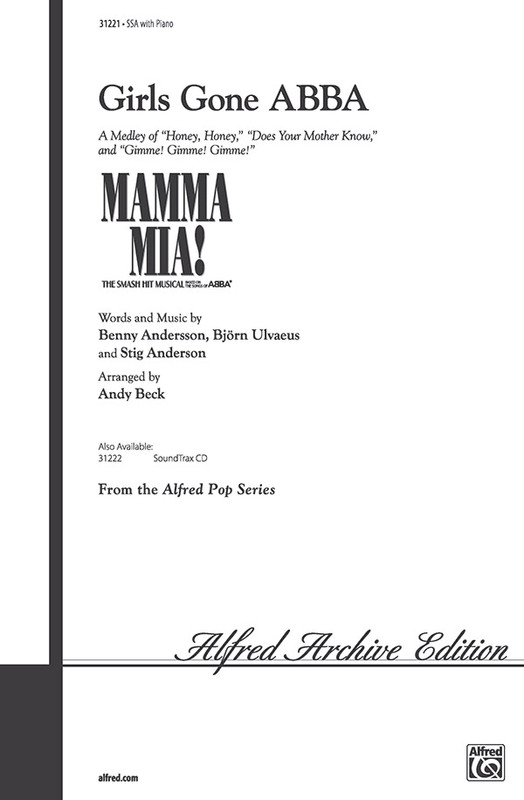 The girls of your choir will stop the show with this fast-paced, energy-filled mini-medley from the mega-hit movie musical, Mamma Mia! Originally made popular by the Swedish music group ABBA. Sensational SSA singing with super-fun "all-girl" lyrics! 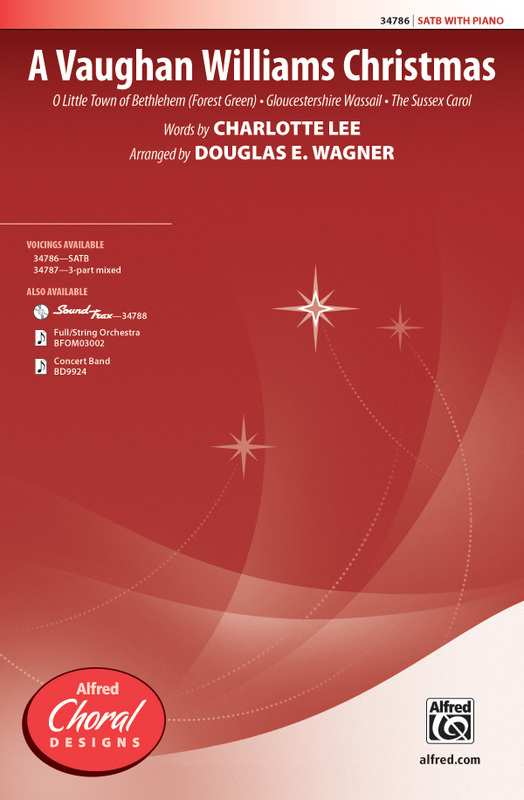 Donald Moore's arrangement of this great American Christmas spiritual really kicks. Featuring brief solos in the verses and a gospel-style refrain that remains the same each time, this powerhouse piece will come together quickly during the busiest time of year.